With generous support from the Saul Zaentz Charitable Foundation and many individual donations honoring Project Zero’s (PZ) 50th anniversary, Project Zero is able to offer professional learning scholarships to support a range of schools, districts, and organizations as well as a diverse group of educators. In particular, these scholarships aim to support educators working in under-resourced contexts and/or with historically marginalized students. Qualified educators whose primary work is with learners in these settings can apply for a limited number of Project Zero Professional Learning Scholarships to reduce the tuition cost of PZ’s institutes, online courses, off-site conferences, and other PZ professional development events and activities. Please note that scholarship funding is limited and not every individual or team meeting the above eligibility guidelines will receive a scholarship. Generally, applications are considered on a first-come, first-serve basis. Most scholarships for institutes, online courses, and off-site conferences cover between 50% and 80% of the tuition. Scholarships for local events and other PZ professional development activities (including online mini-courses), which are all priced for accessibility, cover between 20% and 40% of the tuition. At this time, the scholarship funds are applicable to program tuition only and cannot be used to support travel or other expenses associated with attending or participating in the programs. Further information about how to apply can be found in the registration process for each professional development opportunity. We have provided links to these sites below. For the Project Zero Classroom (PZC) week-long summer institute, learn more and apply here. The scholarship application process is integrated into the overall PZC program application process. The PZC scholarship deadline is February 15, 2019. 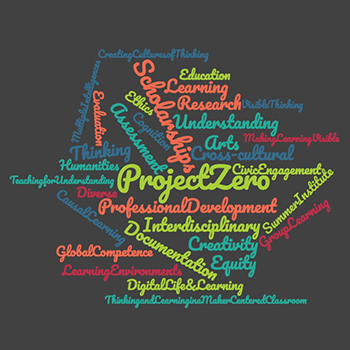 For Project Zero Online Courses starting in February 2019, offered in partnership with Programs in Professional Education, the scholarship application is integrated into the overall program application and can be found here. The application deadline is February 6, 2019. For Project Zero’s “Let’s Play” Mini-Course starting in March 2019, more information and the registration link can be found here. For this learning opportunity, you must apply first for a scholarship if you hope to receive support and hear back from Project Zero about the award before registering for the program. The application deadline is February 6, 2019. For Project Zero’s “Artful Thinking and Learning: Creative Inquiry Across the Disciplines” two-day conference in Atlanta, GA April 5-6, 2019, with event support from the Center for Advancement and Study of International Education (CASIE), learn more and apply here. For this learning opportunity, you must apply first for a scholarship if you hope to receive support and hear back from Project Zero about the award before registering for the program. Applications are first-come, first-serve and limited to US public school teachers who work in schools with 25% or more free/reduced lunch. 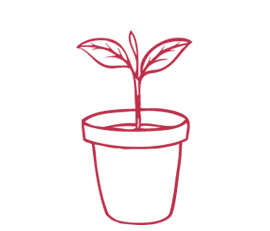 If you have any questions about the scholarship process, please contact pz50@gse.harvard.edu. If you are interested in supporting this fund for educators, we invite you to visit the Support PZ’s Reach gift page.